Unfortunately we are contacted all too often by people who have witnessed animal abuse whilst travelling and are looking to help the animal and they’re not sure where to look. We were lucky enough to meet a member of the Born Free Foundation team who let us know about their fantastic Travellers Animal Alert Initiative which we'd like to share with you. The initiative provides a way for tourists to raise their concerns by sending in their reports and photos concerning issues of animal welfare and suffering. The webpage also contains an online form that you can fill in with their animal welfare concerns and submit to them. 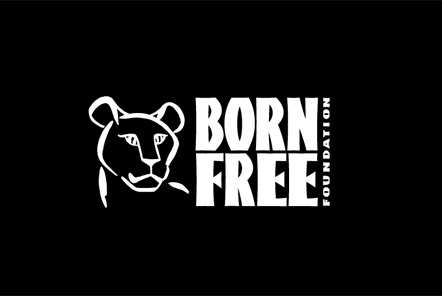 Born Free investigates neglect, fights cruelty and works with tour operators, travel companies, foreign governments and other organisations to take positive action and help improve animals’ lives. If you see animals in poor conditions, whether it’s a case of neglect, abuse, poor living conditions etc, in environments such as zoos, marine parks or circuses; then you can contact Born Free to report these to help make a positive impact on animal welfare worldwide. Born Free has the capability to contact the relevant authorities or the establishment directly to raise the concerns and encourage action to be taken in order to rectify the situation. There are many common themes to animal welfare issues, aside from the fact that many parks and zoos which house animals do not provide enough space for the animal or a good diet, some zoos feature animal shows which require wild animals to perform in order to entertain the public audience. Examples of the sort of reports that Born Free have received previously include elephants walking on a tightrope, orangutans riding bicycles and tigers balancing on horseback. Whilst it has largely been outlawed, dancing bears can still be seen in Russia and India. The bears used in these displays are captured from the wild at a young age and undergo horrendous training methods to respond to music in order to give the appearance of ‘dancing’ to the audience. The fact that dancing bears have ceased in Bulgaria following international outrage demonstrate the power that people have to make a positive change when they speak out about what they have seen. These sorts of shows and displays need to be reported if you see them in order to drive towards phasing them out. Whilst there do seem to be positive advances with regards to the use of animals in circuses, with many countries stepping up and banning the use of wild animals in any circuses, there is still a long way to go. The UK, for example still only has restrictions put in place on a regional level and has not yet enforced a nationwide ban on the use of wildlife animal in circuses. The majority of circus animals are kept in inadequate living conditions. The story of Tyke in 1994 was a shocking and saddening reminder of why elephants are not suited to a circus environment. Tyke was a circus elephant who broke free, killing her trainer and injuring another member of staff before exiting the arena and ending up on the streets of Honolulu in an effort to escape. Unfortunately the police made the decision to shoot Tyke in order to keep people safe, it took 86 shots before Tyke collapsed and died. To read more about Tyke’s story click here (please note that this contains graphic images and videos). Reporting circuses to Born Free enables them to identify the number of circuses that exist and which animals they use this will assist them with their campaigns against this. Born Free have received reports of numerous animals being used as photo props (where tourists pay to have their photo taken with the animal for the “ultimate souvenir”). These animals include lion and tiger cubs, chimpanzees, gibbons, parrots, snakes and turtles. Spain, Mexico and Thailand are common destinations to see these practices. These animals are often living in inadequate living conditions and some have been drugged, had their claws and teeth removed to limit the damage they can cause to tourists and once they become too big, their future is very uncertain. The documentaries The Cove and Blackfish have done a great deal in raising the public’s knowledge of the conditions of cetacea in captivity. From their traumatic capture from the wild, to their lack of space and requirement to perform displays for the public, Born Free is working to raise awareness of these issues as well as raising concerns over the “swim-with” activities which was often high on people’s bucket lists. Despite guidance being available for best practice regarding viewing wildlife in a wild environment, some operators still abuse this for example safari jeeps going off-road to get closer to the animals and whale-watching boats chasing dolphins. Others actively encourage tourists to have direct contact with the wild animals. Tour operators have a responsibility to respect wildlife and if you experience bad practice, then please report this. It is important to remember that legislation regarding the welfare and husbandry of captive animals unfortunately does not currently exist worldwide and therefore it is difficult to apply the same standards to your new destination as you would at home. This is where Born Free’s knowledge of international legislation is invaluable and a better route that attempting to confront things yourself. All reports received are logged, this enables the Foundation to identify what they refer to as ‘hot spots’ which allows them to focus their campaigning efforts in the areas that need it the most. Unfortunately it is often the case that there are more animals in need than there are spaces in sanctuaries in order to rescue all of the animals, but raising the concern is certainly the first step in the right direction for the future of animal welfare. For more information about Born Free Foundation’s Travellers Animal Alert Initiative, please click here.